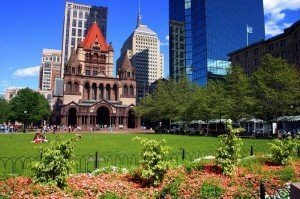 Boston is the largest city in New England, the capital of Massachusetts, one of the most historic, wealthy and influential cities in the US. Museums, historic sites, plenty of live performances – these are just some of the reasons why every year the city welcomes more than 16 million guests. Thanks to them, Boston is among the ten most popular tourist destinations of the country. Plan to visit Boston? Then we offer you a virtual tour to find out more about the best places to visit in Boston! The park is located in the heart of Boston. It is the oldest public park in the United States. In fact, the park consists of 2 parts: the Common and Boston Public Garden. The history of the park begins in 1634, when the area was a public pasture. Later, the park was used for public purposes, and also served as a venue for public executions. Pirates, murderers and witches were hung on a tree, known as the “Great Elm”. Since 1817 executions were not held. Since then, Boston Common has served as a public park and is very popular among the residents of Boston. In addition, throughout the year there are performances and citywide celebrations there. a large number of interesting places and sculptures. 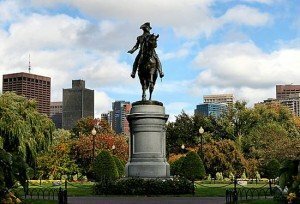 George Washington Monument: at the entrance to the Boston Public Garden in Newbury Street there is a monument to George Washington, it seems that he is looking in the direction of one of the longest streets of Boston – Commonwealth Avenue. Soldiers and Sailors Monument: in the central part of the park you can see 40-meter column, made in the neoclassical style, was built in 1877. Monument is dedicated to the heroes of the Civil War. At the base of the column there are bronze bas-reliefs, and on top of it – the female figure, which is known as “America”. At the head of America there is a crown with 13 stars, in her left hand – the US flag, and in the right one – a laurel wreath and a sword. Parkman Bandstand: it is located in the eastern part of the park and now it is used for concerts and performances. Mr. George Parkman donated $ 5 million to the park and in 1912 this bandstand was named after him. Fountain Brewer Fountain, decorated with figures of Greek gods, cast in bronze and weighs almost 7 tons. This fountain was made in Paris. Pond Frog Pond, which is used during the winter months as a public skating rink for everybody who is fond of winter sports. Interesting: In the western part of the park there is a grassy lawn, here you will be in the centre of the biggest social events. 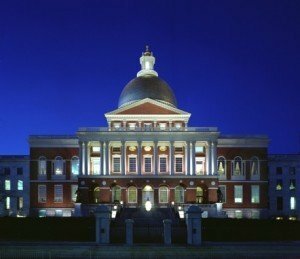 Massachusetts State House was built between 1795 and 1797 in the area of ​​Beacon Hill. State House rises above the park Boston Common, the building is a place of the Chamber of legislative and executive power of the Commonwealth of Massachusetts. What is so remarkable here? The golden dome is the most remarkable feature of the building. During the Second World War, the golden dome was painted black to mask from the bombing. Since 1947 the golden dome of the building has risen above the skyline of Boston again. Gold leaf thickness of five millionths of an inch is so thin that direct light shines almost through it. The last restoration of the dome was in 1997. At the top of the dome there is a pine cone that symbolizes the importance of the forest industry for the development of the New England economy of the period. Interesting: Building Massachusetts State House in Boston is known as the «New State House» what differs it from the old building, called Old State House that is located on the corner of State street and Congress street. 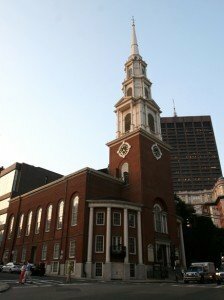 In the center of Boston, in the immediate vicinity of the Massachusetts State House, there is another landmark attraction – Park Street Church. If you walk from the Massachusetts State House building just 150 meters along the street Park Street to Tremont Street, then at the point of intersection (corner of the Park Common) you will see the historical church of Park Street Church, founded in 1809. In the past, the church was the tallest building in Boston. It is very beautiful and considered to be the historical landmark. Church in the Park Street still remains active. Interesting: About 2,000 people weekly visit it on a regular basis. 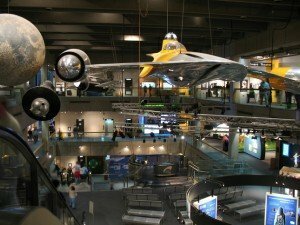 Museum of Science or abbreviated MoS is located in the central part of the territory of the Boston Science Park. The museum has an extensive collection of exciting permanent and temporary exhibitions. It is located on the banks of the River Charles River. In 2011, the museum was visited by more than 1.5 million people. 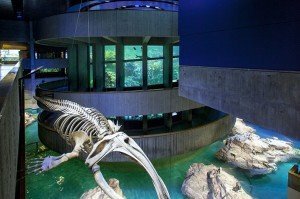 Thus, it is one of the most popular cultural and educational attractions of Boston. The museum consists of a planetarium and IMAX theater with a dome-shaped screen height of 5 floors. Right in front of you in the incubator chicks hatch from eggs. Through a large window, visitors can observe the animals from a Live Animal Center. For children aged up to five years playground with tunnels and riddles is here. Through the glass kids can safely watch the small animals in their natural habitat. Interesting: The operating budget in 2011 amounted up to $ 50 million. The functioning of the museum is provided by more than 300 permanent employees. In addition, more than 700 volunteers help this museum free of charge. 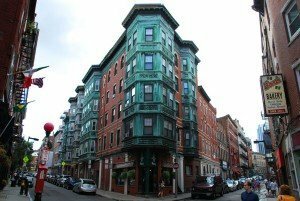 North End is Boston’s Italian district, also known as “Little Italy.” Consisting of only five quarters, it is one of the oldest neighborhoods in Boston. 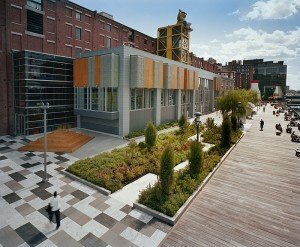 North End is located within walking distance from the financial business district of Boston. Today, about a third of North End residents have Italian roots. People from Genoa, Sicily, Milan, Naples and other parts of Italy settled in a small compact area. Customs and culture of Italian Americans have changed very little. The North End will offer its tourists about 90 Italian cafes, restaurants and bakeries. The air permeates the sweet smell of baking, the flavor of garlic, fresh basil. Main streets: Hanover and Salem are arranged parallel to each other. Most of the buildings are brick buildings from the late 19th– early 20th century, overhanging the narrow, winding streets. Quincy Market – the market building, also known as Faneuil Hall. Interesting: In the summer season the streets are very lively as there are many festivals dedicated to the patron saints of different regions of Italy. Museum of Fine Arts, which is abbreviated as MFA, has been operating since 1870. Since 1909, the museum has been located in a building on Huntington Avenue. 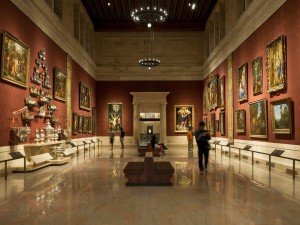 Today the Museum of Fine Arts in Boston is one of the most comprehensive art museums in the world, the collections of which include more than 450 thousand works of art from around the world. In 2011, the museum was visited by more than 1.2 million visitors! Impressive number, isn’t it? Art of the Americas – from colonial times to modern days, located in a new wing of the Museum of Art of the Americas. Art of the Ancient World – the collection is recognized as one of the best and most complete in the world. It contains more than 83 000 works of art from Egypt, the Middle East, Greece, Italy, Cyprus and others. Art Asia, Oceania and Africa – one of the best collections covering a period of 6000 years. European art – the works, starting from the 7th century. The collection includes masterpieces of Dutch, English, French, Italian and Spanish artists. Also in the museum you will find an exhibition of the objects of European decorative arts, sculpture, furniture, metalwork, ceramics, glass, silver, porcelain, and others. Modern art – painting, sculpture, photography younger than 1955. Musical Instruments – exhibits from different countries, including rare ancient civilizations. Drawings and photos – the works from the mid-15th century to the present day. Textiles and clothing – suits, accessories, embroidery, footwear, carpets, blankets, and books about fashion from around the world. Interesting: Museum of Fine Arts is open 7 days a week, welcoming tourists to get acquainted with the culture and history of people around the world. Old State House is a historic building located in downtown Boston at the intersection of Washington Street and State Street. This well-preserved Boston building is known today as the Old State House. There was time when it was at the center of public life since the early 18th century. Within its walls the leaders of American Revolution were discussing the future of the British colonies. 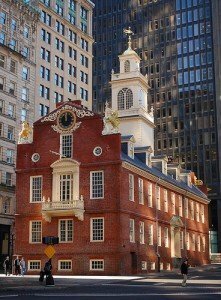 After the revolution itself, up until 1798, the building was used as Massachusetts State House. In subsequent years, Old State House was used for various purposes. Interesting: Currently Old State House building has a museum, which is opened 7 days per week. This tourist route for pedestrians in the old historic part of Boston, USA. Its length of about five kilometers and it runs past 16 major historical monuments of the city, connected with the struggle of the American people for independence. Trail that cannot be confused with something else, you cannot stray from it, because it is marked in white on red stone blocks and red – on the gray paving slabs. The trail starts from the Boston Common and ends on a sailboat “Constitution”, which stands in the Charleston harbor. the oldest school in Boston. Going from one historical monument to another seems as if you are traveling within American history. Interesting: Every year on this road there are three million tourists, followed by guides dressed in costumes of the era of the late eighteenth century. New England Holocaust Memorial is dedicated to the memory of the six million Jews who died in World War II during the Holocaust, established in Boston, Massachusetts in 1995. It begins with two granite slabs on which you can see the names of inhabitants of New England killed in the Holocaust. On the inner walls of these towers there are quotes from those who survived in each of the six camps (Treblinka, Majdanek, Auschwitz-Birkenau, Chelmno, Sobibor, Belzec) and the registration numbers of camp inmates. When you pass through the base of the towers, you feel warm air coming through the lattice. It seems to symbolize the breath of those who have gone forever. If you get on your knees and look down through the grate, you can see a deep hole with twinkling lights, one of which moves, as if lighting the way for the souls of the victims. Interesting: This memorial is located on the route along the Freedom Trail, which makes it very popular and visited by people who want to pay tribute to those who died. This wonderful museum was created by the famous lady who collected antiques, the museum was named after this creator of the greatest collection of antiques. It began as a private gallery, located in the house of Gardner. Fabrics were brought from Europe itself by Isabella and her husband Jack. Soon the collection has grown to such an impressive size, the two houses belonging to the family were small for it. It was decided to build a special museum building. Jack did not live to see the realization of this dream, Isabella completed the job herself. She built the building in the style of a Venetian palazzo of the fifteenth century, and in 1903 the museum was opened. At the time 2 500 pieces of American, European and Asian art of global significance were represented in it. 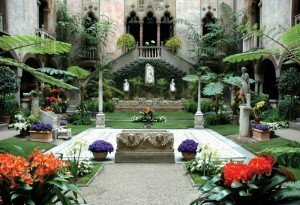 Interesting: Isabella Stewart Gardner bequeathed to after her departure to another world collection remained in the same form as during her life. This museum was created in 1913 in order to teach children to love and understand the world in which we live. This museum is located on the world-class Children’s pier. It includes eighteen exhibits, both permanent and temporary. meet with other building professions. You can visit the city of Kyoto, Japan donated the house, which turned one hundred years old, or a temporary exhibition of the Grand Gallery, traveling at the best children’s museums in the world. Young children have a unique opportunity to explore the interesting exhibits to see and take part in the conduct of experiments in developmental and recreational activities that suit them in the museum. Today, the museum has a collection of more than fifty thousand items and objects. Interesting: Constant interest of the kids is three-storey design of chips, on which you can climb freely up and down. At the entrance to the Museum there are tables where you can sit and enjoy an ice cream and soft drinks. In 1742 the French merchant Peter Faneuil built Faneuil Hall in Boston for his countrymen. And now, several centuries Hall has been a shopping center. 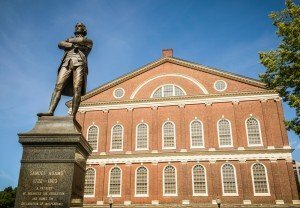 The peculiarity of this centre is that there were such well-known speakers like Samuel Adams, the famous leader of the American Revolution, one of the organizers of the “Boston Tea Party” and other famous Americans. In addition, Faneuil Hall is a historical monument, which was given the status of cultural and historical attractions. In 1806 the hall was reconstructed, for which funds have been allocated by Charles Bulfinch, who received the status of one of the first American architects. In those days, Faneuil Hall was a special room, where the government held a meeting with residents of Boston. Every year it is visited by over 18 million people. These are local residents and tourists, who meet here not only sellers, but also artists. Interesting: Shopping malls are located on the first floor of the building, on the second one there is still the hall, which hosts a debate on various issues held by representatives of all segments of the city’s population. This aquarium welcomed its first visitors in 1969. It is one of the main, the most visited attractions in Boston. Every year, about 1 300 000 people come here. It is interesting not only for adults but also for children, as it’s both an educational center. This aquarium is considered the world leader in the conservation of the environment, as close to the sea as possible. Research department is also operating there. Scientists- Oceanographers work, developing educational programs and help to solve complex global problems aimed at studying and preserving the world ocean. Cinema IMAX gives the opportunity to experience the underwater world in 3D.It is home to various species of whales, including humpback and whales. Interesting: If you are lucky, you can see the white-sided dolphins and other inhabitants of the deep sea, including seabirds.